A specimen of this plant is near the steps leading to the coffee shop near DB10. This native species often found associated with seasonal watercourses, has spines on the stem when young. The leaves are lanceolate to oblanceolate and although paler green on the lower surface they lack hairs. 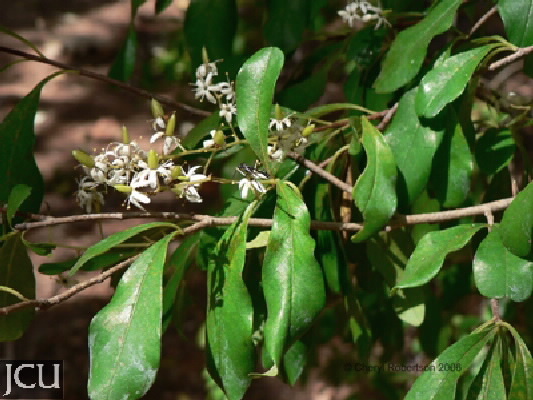 The white flowers borne in large erect panicles are followed by a small (<1 cm long) flattened, 2-valved, brown capsule.